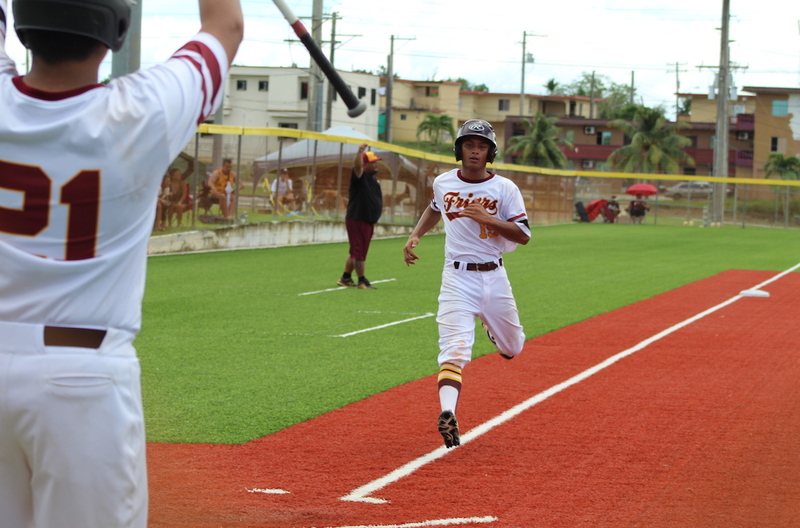 The IIAAG Boys Baseball defending champion FD Friars (8-0) are sitting a top the 2018 standings after defeating the Guam High Panthers (6-2) in a battle of the leagues top two teams. The Friars got a steady flow of offense to lock up a 13-3 win on Panther turf. Friar Justin Leon Guerrero paced the offense going 3-of-4 at bat with 2 RBI’s, including an RBI triple in the 2nd inning.